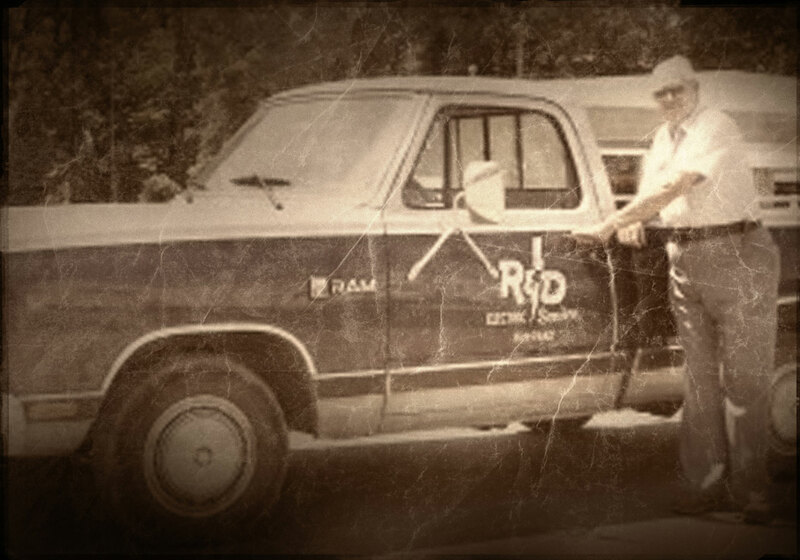 In 1966, 47-year-old Ben Tomblinson purchased a business named R & D from two gentlemen named Richardson and Dixon. The shop on Dempsey Street in Madisonville sold and repaired water pumps, electric motors and kitchen appliances. Ben Tomblinson kept the name R & D, and used it as a logo to represent his work philosophy — reliable and dependable. He phased out the water pump and motor portion of the business, and focused on the appliances as well as HVAC and electrical contracting.